Skilled migrants made up about 68% of the 190,000 places in Australia’s 2014-15 migration programme, which is separate from the humanitarian programme. 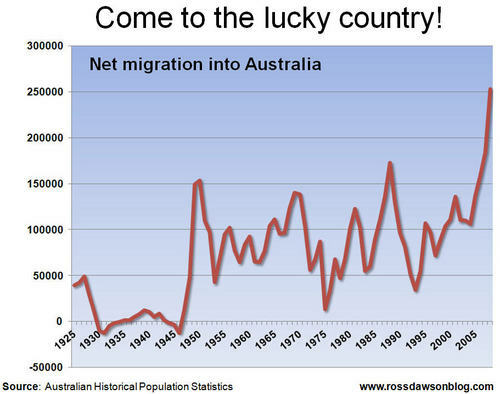 The migration programme controls the variety and number of workers moving to the country, and according to the Department of Immigration is “specifically designed to target migrants who have skills or outstanding abilities that will contribute to the Australian economy” and to fill labour shortages. 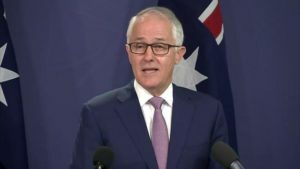 Over the past 15 years or so, Australia’s non-humanitarian migration policy has evolved from its original “populate or perish” focus to one seeking people who will make a specific contribution to the economy. A background note by the Australian parliamentary library notes a change in policy in the late 1990s resulted in a shift in the balance of permanent migrants from a majority coming through the family stream – that is, reuniting family members – to majority skilled migrants. To qualify for a range of Australian skilled visas, people must satisfy a points-based assessment. Points are awarded in a number of categories. Applicants must be under 50. Any applicants aged between 25 and 32 automatically start with half of the required 60 points. Those aged between 45 and 49 start with zero. All applicants must demonstrate a basic competence in English. But they are only awarded points if their language skills are deemed “proficient” or “superior”. The remaining points to achieve the minimum 60 are awarded for certain qualifications and employment histories – gained in Australia or overseas – or other factors including tertiary education and whether an applicant’s partner fulfils certain requirements. A doctorate from an institution recognised by Australia is worth 20 points, for example. Prospective residents can also gain points if they have previously worked in Australia, or if they have studied in certain specified parts of the country, such as metropolitan areas with low population growth. For some visa subclasses, sponsorship by an employer or family member or nomination by a government is required. If an applicant is not sponsored by an employer, their occupation must be on an approved list. For each occupation, there is is a limit on the number of applications that can be accepted. For the 2015-16 intake, Australia has already approved all 1,000 available visas for auditors, company secretaries and corporate treasurers; the 1,788 industrial, mechanical and production engineers; and 1,000 other engineering professionals.